It’s always a good idea to know how to make fire with flint and steel or by rubbing sticks together but that doesn’t mean you shouldn’t pack a lighter for when you need a quick flame with minimal fuss. 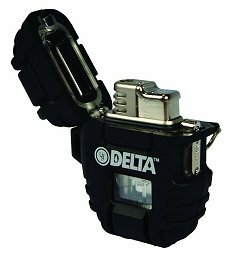 The Windmill Delta Stormproof Lighter lets you make a quick fire without having to burn those precious calories you need to survive if TSHTF. Designed to light in winds as high as 80 miles per hour, this survival lighter will also work in temperatures down to 40 degrees below zero F!! 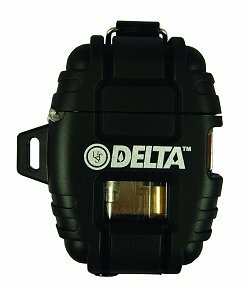 The Delta Storm proof lighter utilizes a platinum catalyzer coil to ignite butane fuel via piezo-electric ignition. This allows it to make a flame even when damp(very handy in a survival situation). The manufacturer claims the lighter will perform thirty thousand ignitions. With a full tank butane (one gram) , you can expect about 300 three to five second ignitions, easily enough for several week long expeditions. 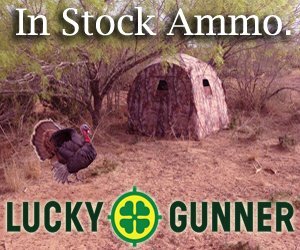 The Delta Shockproof Series has a large fuel window that makes it easy to check on fuel levels. Two other handy features are it’s adjustable gas flow which allows for usage at varying elevations and O-ring seals that keep water out when the cap is closed. All in all I find it too be a very robust, strong and powerful little lighter than will definitely be your best friend in a survival situation. I haven’t gotten a chance to run a field test with this lighter yet due to a Fire Ban currently being in effect in my area but as soon I can I will conduct one and post it on the site.